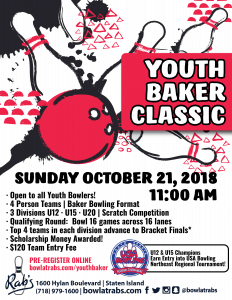 A new Youth Event for the 2018-19 Bowling Season! Open to all Youth Bowlers! Build a team of 4 bowlers in your age group to compete. U15 Champion also earns an entry to compete in the 2018 USA Bowling Northeast Regional Tournament!